When we first started See.Me our main goal was to build a membership of artists. We had a leg up on this with our competitions bringing in thousands of artists from all over the world. We the realized that in order to keep our artists around they would need an audience. The strongest community would be a balance between artists and supporters. Onboarding set the tone for our redesign. 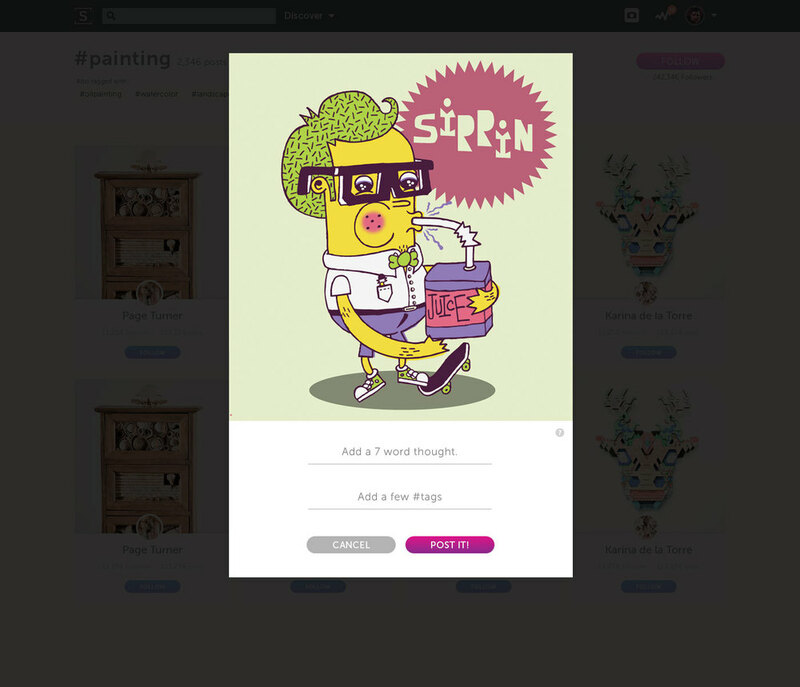 The first step helped you curate a feed of artists. We'd found that when the network was only artists and the main ui was a vote & comment feature that everyone would just spam each others walls looking for votes. We were convinced a more balances community and ui tweak would help but how could we make the site relevant for supporters? What did a supporters profile look like if they did not have any art? The answer was turning a supporters profile into a curated collection. This helped build an ecosystem based on real appreciation and discussion for each others work. See.Me's redesign brought with it a great opportunity to get some consistency back in our styles. I created a quick style guide for some commonly used elements that were then used to define a standard set of UI elements. The See.Me media uploader got a facelift and a new 7 word caption feature. We wanted to make it as streamlined as possible so while the image is uploading you can move on to complete the next step. Upon success you can share it easily to social media. We added feeds to the site and after a long series of experiments decided to move away from "Support" in favor of the simpler and more social "Follow" button. The rest of the profile header got a much needed update to make it cleaner and clearer.